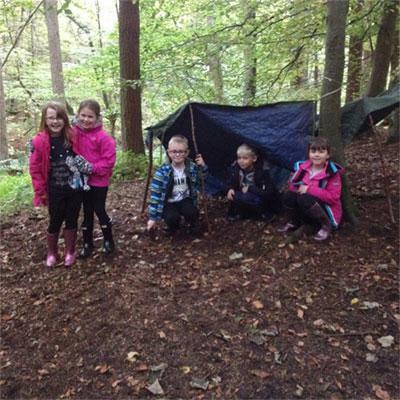 On Monday, 9th and Tuesday, 10th October four of our Year 3/4 children (Joe, Emily, Brooke and Braedon) spent the night away from home at The Kingsway Centre, Middleton-in-Teesdale to participate in a Stone Age residential with children from Long Marton Community School. The residential trip started by discovering the centre and where their rooms for the evening would be! 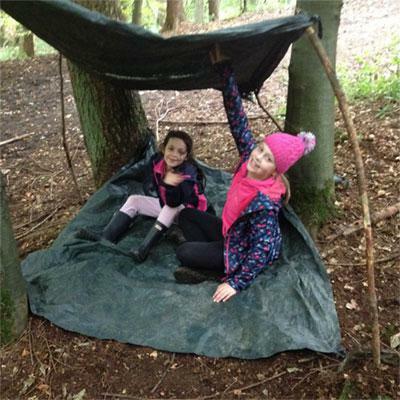 The first activity was learning about the key skills needed to live in the Stone Age. 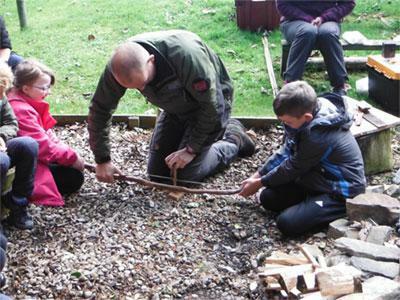 The children learnt how to make a fire with a bow-drill, with flint and iron-stone and then had a go at lighting their own fire with a striking flint. 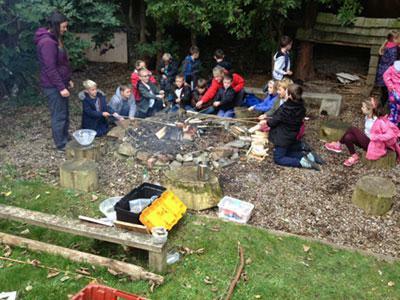 The afternoon activities included tasting a Stone Age 3 course meal! 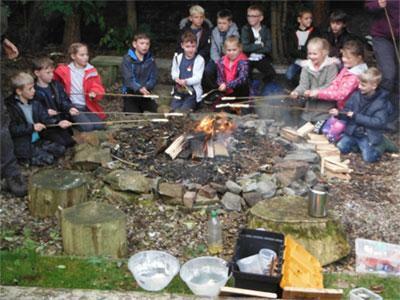 We made bread over an open fire and then taste mealworms and crickets. All decided that they would have preferred pizza! 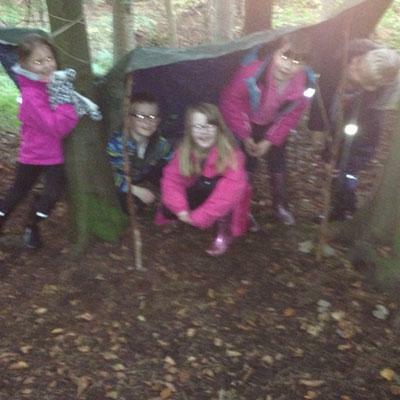 We then moved into a local wood to practise building shelters. Some were more successful than others, with many experiencing leaking shelters when the storm hit (Abi, our instructor, hosed the shelters down). 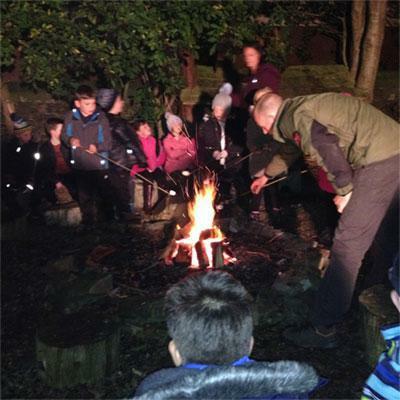 Following our spag bol and apple strudel supper and team quiz on the Stone Age, we toasted marshmallows around the campfire. The excitement of the day must have been too much, as much to the teacher’s surprise, everyone was tucked up in bed and asleep by 10.15! 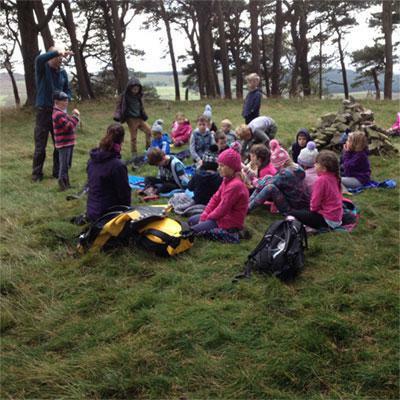 Early morning call was at 7am, with everyone having a hearty cooked breakfast before a gentle walk, some of the children would say a mammoth walk, to the local Bronze Age burial, Kirkcurrion. 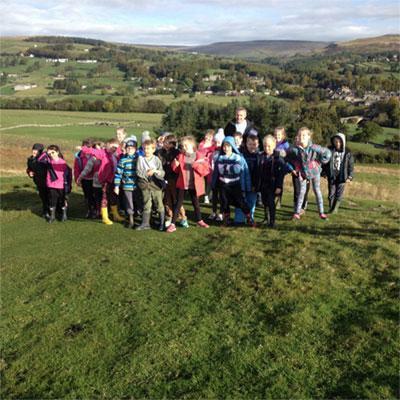 At the burial we learnt about the Stone Age landscape. 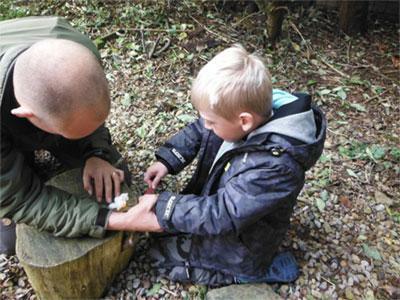 Having learnt and experienced some Stone Age activities most said that they preferred modern day living to that of the Stone Age. They realised that life in the Stone Age would have been extremely difficult.